New from Strike Force Zebra! Central Command is a centralized power module that allows you to efficiently connect and control your rig's electrical components through one convenient, power-protected switch panel. 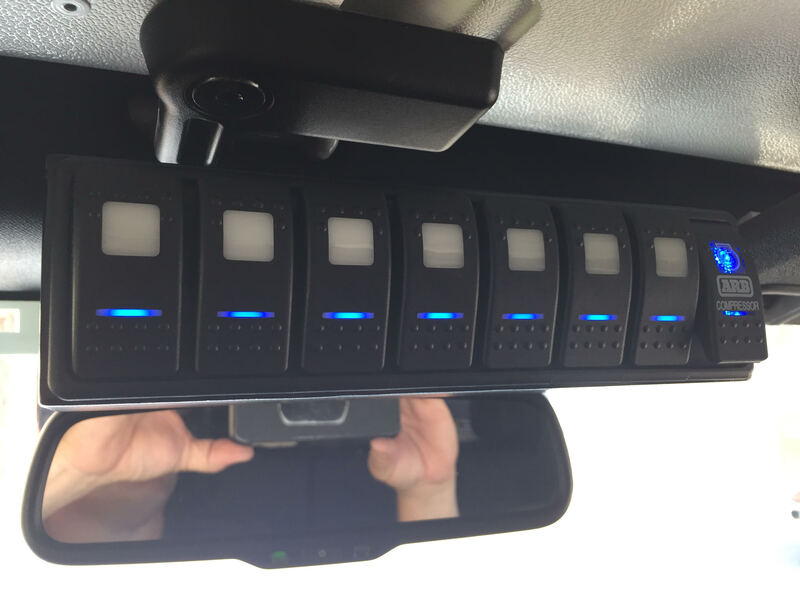 Connect up to 12 different accessories, switch 8 of them on & off with lighted LED rocker switches, keep your wiring organized and tidy, and reliably carry a power load of up to 200 amps with protection circuits engineered to shield your valuable electronics and powered accessories. 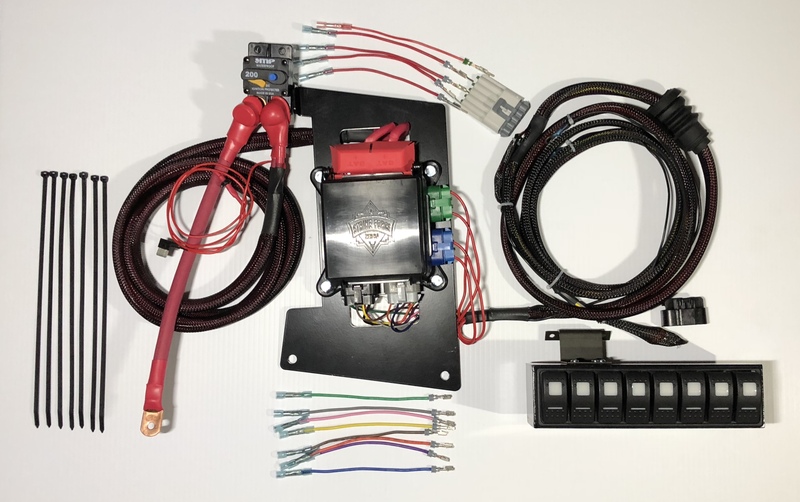 Behind the scenes, Central Command is color-keyed for for easily wiring your accessory connections, and the module can be finished off with a boot that seals the pass-through wiring point at the firewall. Our Central Command main module can be located in many areas inside the engine compartment. We have included a powder-coated steel mount for 2012 and newer JKs. The Central command switchbox can be located inside the cab and we include a SFZ CB mount as an anchor point, to easily mount it above the rear-view mirror. Alternatively, the switch box can be mounted with heavy-duty velcro to the A-pillar or any location you might prefer. Adding your accessories to the unit is as easy as using a color-coded power wire with a crimp and heatshrink. That's it! It is truly a plug-&-play system.